We made it! The cleanse is done…kind of. For the next couple of weeks, we will be slowly reintroducing foods back into our system to see how they affect us. On Monday, we tried gluten, which we’d already been trying to cut back on before beginning the cleanse. Wednesday,it was yeast. Today? Dairy. I can’t wait to have some cheese, so I certainly hope my stomach doesn’t rebel! In the meantime, we are continuing to follow the cleanse diet: smoothies for breakfast, big ol’ salads for lunch, and a variety of tasty (mostly vegetarian) dinners. I’ve been nibbling on veggies and hummus or a handful of raw almonds or walnuts as snacks in between meals, but my favorite snack has been Protein-Packed Almond Butter Balls. If you ask me, they taste like heavenly little bites of raw cookie dough. Yum! While you’ll only need a handful of ingredients for this recipe, you may not have all of them on hand. 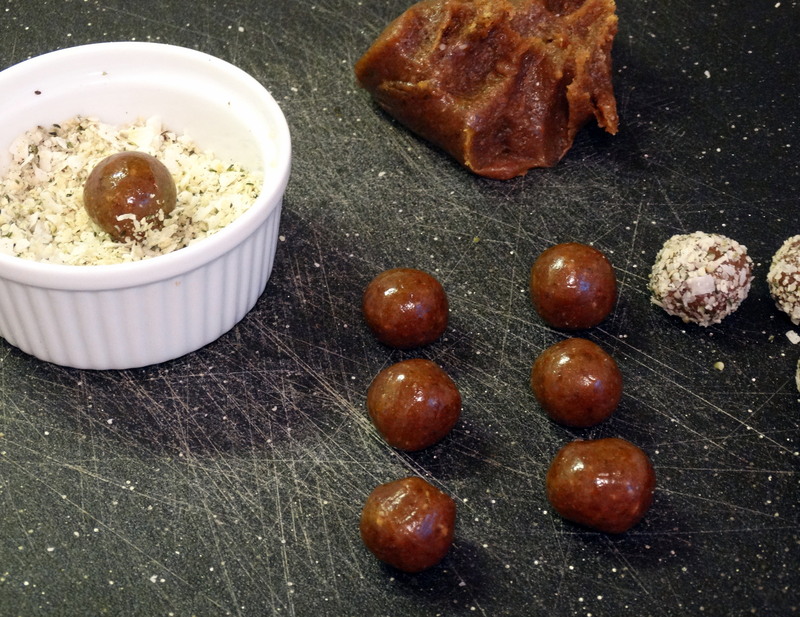 You’ll need medjool dates, coarse sea salt, vanilla extract, raw almond butter, shredded, unsweetened coconut flakes, and hemp seeds (these can be found at health food stores or Whole Foods). First, remove the pits from 2 cups of medjool dates. 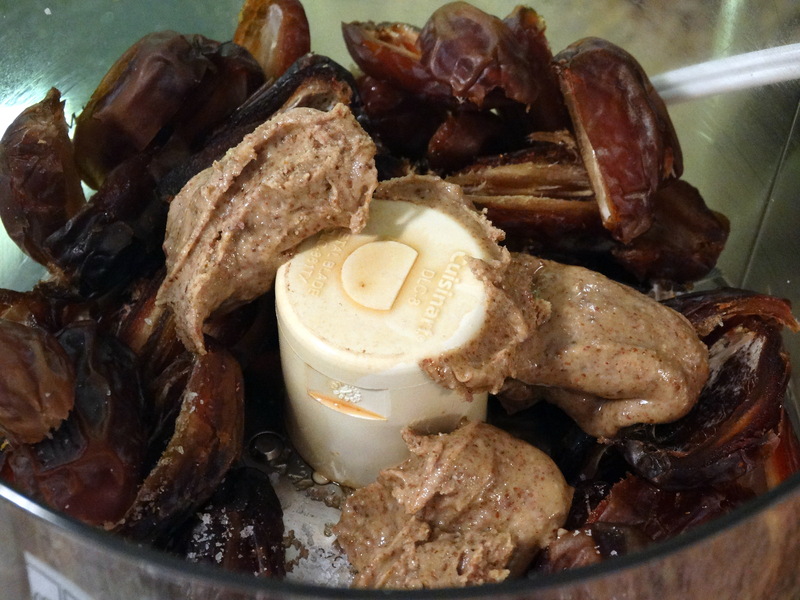 After I removed the pits, I cut each date in half to help the food processor work faster. 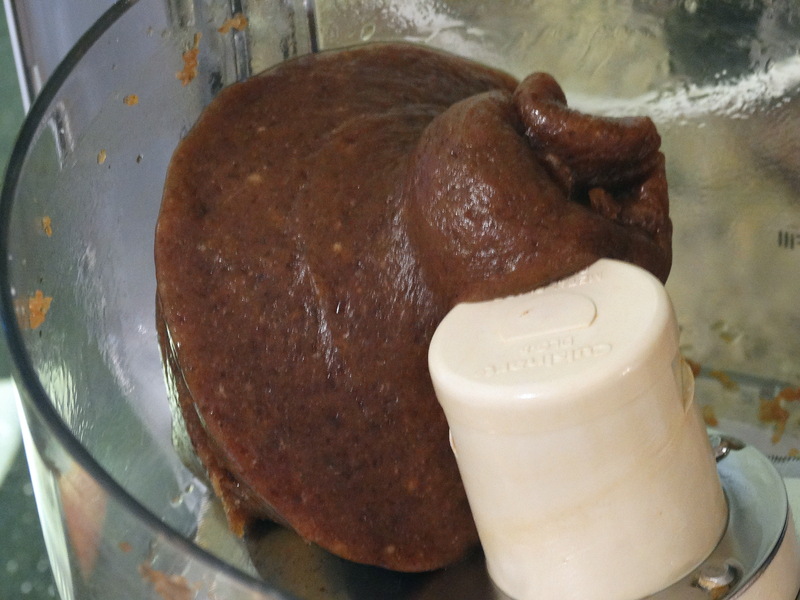 Add the pitted dates, 1/4 teaspoon coarse sea salt, 1 teaspoon vanilla extract, and 1/4 cup raw almond butter to a food processor and combine for a couple of minutes, or until well mixed. The mixture will form itself into a single solid mass as shown below. While the dates are mixing, combine 1/4 cup shredded, unsweetened coconut and 1/4 cup hemp seeds in a small bowl. Using your hands, pull off a small amount of “dough” and roll it into a 1″ ball. Roll each ball in the coconut/hemp seeds to coat. 1) Remove the pits from 2 cups of medjool dates. 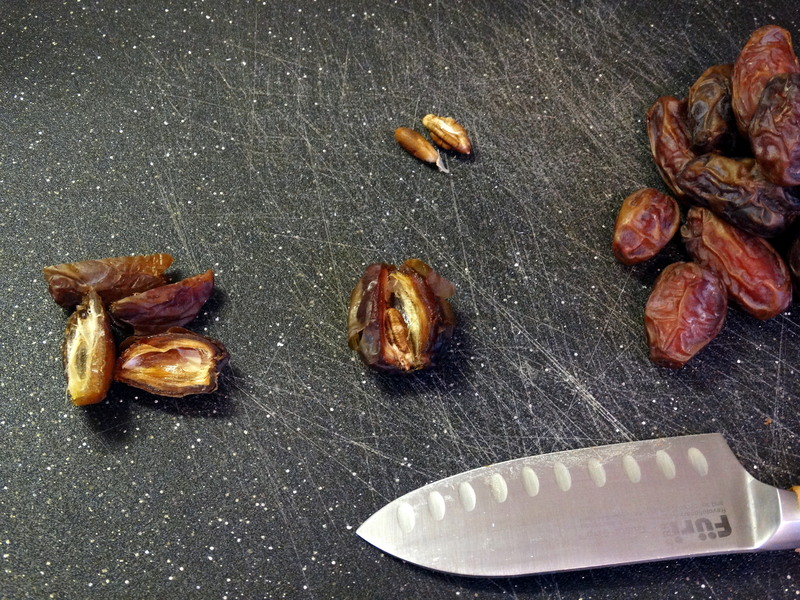 Cut each date in half to help the food processor work faster. 2) Add the pitted dates, 1/4 teaspoon coarse sea salt, 1 teaspoon vanilla extract, and 1/4 cup raw almond butter to a food processor and combine for a couple of minutes, or until well mixed. The mixture will form itself into a single solid mass. 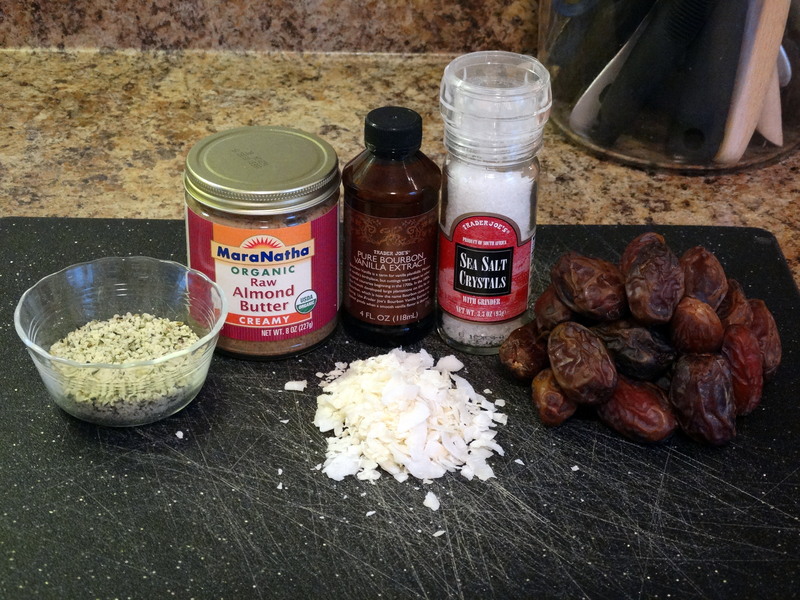 While the dates are mixing, combine 1/4 cup shredded, unsweetened coconut and 1/4 cup hemp seeds in a small bowl. 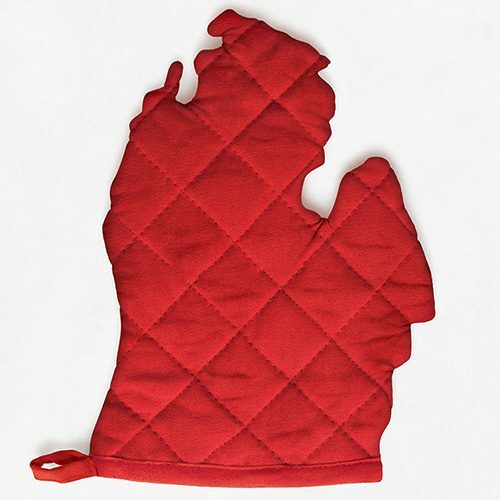 3) Using your hands, pull off a small amount of “dough” and roll it into a 1″ ball. 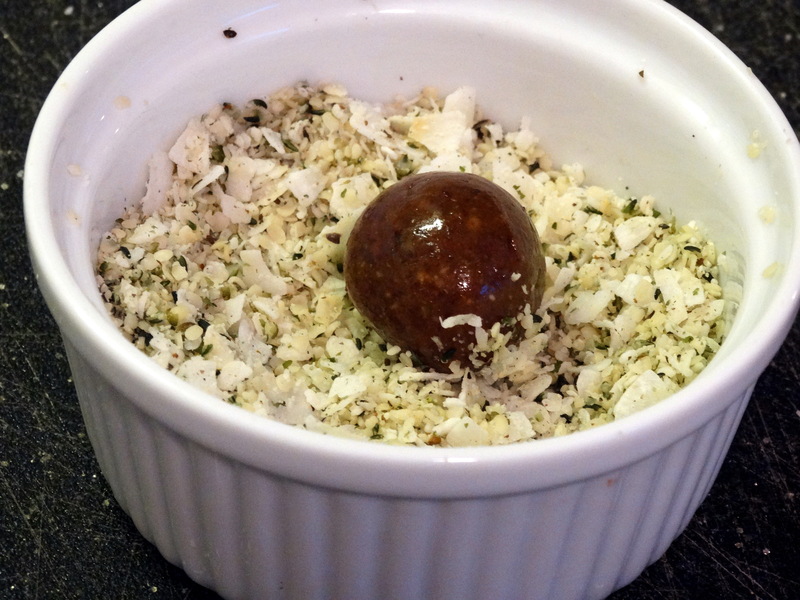 Roll each ball in the coconut/hemp seeds to coat. Enjoy!